Yoga is the perfect exercise to not only gain flexibility and become physically healthier, but mentally healthier as well. It’s a full body and mind workout. Yoga studios across Michigan offer opportunities for classes, and atmospheres that truly help you clear your mind. Grab your mat and go check out these 10 great yoga studios in the state. “You are your own guru,” or so the saying goes at Royal Oak's Namaste Yoga. While its teachers are quite familiar with the poses and the philosophies involved in yoga, Namaste Yoga makes it clear that only you know you, and thus seeks to bring out inner knowledge, inner peace, and of course, a better trust in the self. Featuring an array of classes with a particular focus on the self, Namaste makes itself a worthwhile choice for anyone who wants to address such things at their own pace. Ann Arbor's A2 Yoga not only offers a variety of excellent classes for those who want different things out of a yoga session, but also some pretty sound endorsements from the local area. Voted best yoga studio in Washtenaw County four times by Current Magazine's Readers' Choice Awards, and second best studio three times in the same publication, it's clear that those who attend classes here like it. Throw in some discounts—10 percent off for anyone with a valid student ID, and a seven-day trial class pass for $20—and you've got a recipe for a winner. Down Dog Yoga Center in Kalamazoo offers some excellent option for those interested in trying yoga or those who are already familiar. Newcomers get access to the First Visit Deal, which is two weeks of unlimited yoga for just $20, while veterans get access to a wide array of services. Down Dog Yoga Center not only offers yoga, but also chiropractic and massage services, offering a complete package in one place. Over in Kalamazoo's closest rival city, Battle Creek, Centering Yoga offers the first and only actual dedicated yoga studio in the city. That's a big step, but Centering Yoga goes a little farther by offering different levels of yoga from sedate to intense, which means every level of skill and experience can be comfortably accommodated. Whether starting from the basics or going all the way to “hot yoga,” the end result is a variety complete enough for anyone. Grand Rapids' Twisted Hot Yoga Studio represents one of the best practitioners of hot yoga around, offering 30-day trials for $39. Even here in hot yoga, there are different classes for different skill levels, and those who just want to try hot yoga or are very used to it can enjoy several opportunities here. Lansing's Just B Yoga is a unique proposition even among the uniqueness that is yoga. It's the first-ever donation-only full-time yoga studio in Michigan. Offering a variety of classes, along with teacher training options and a “trauma-sensitive” class structure for those who have undergone certain physical and emotional trauma like loss or natural disaster—as well as a particular focus on social justice—Just B Yoga seeks to provide a stretching for the body as well as for the outlook. One of Holland's leaders in the yoga field, Bodhi Tree Yoga and Wellness Studio offers plenty of measures designed to distinguish a company in the field. Several class types are on hand, from the simple chair yoga to start the week on Monday to the more potent Vinyasa Flow on Sundays. Beyond that, however, you'll also get access to spa services ranging from reiki to facials and just about everything in between. Traverse City's Yen Yoga and Fitness offers a wide variety of classes to try. We hear that one a lot, but Yen Yoga and Fitness really does offer staggering variety. Not only is there hot yoga and Vinyasa Flow, but there's also gentle yoga, cycling yoga, and even yoga on stand-up paddleboard, offering a combination of activities so bizarre and so compelling that it can only come our way from Traverse City. Grand Blanc's Prana Yoga Center works hard at providing plenty of options for the discerning yoga patron. With an array of classes on hand, including a slate of special events and a corporate yoga practice for those who want to work together and stretch together, Prana Yoga will seek to offer an excellent value in yoga while offering a variety of actual yoga fare. Check out their special pricing structures as well. A year of unlimited yoga is yours for $850. Even in the Upper Peninsula, there are opportunities for yoga. 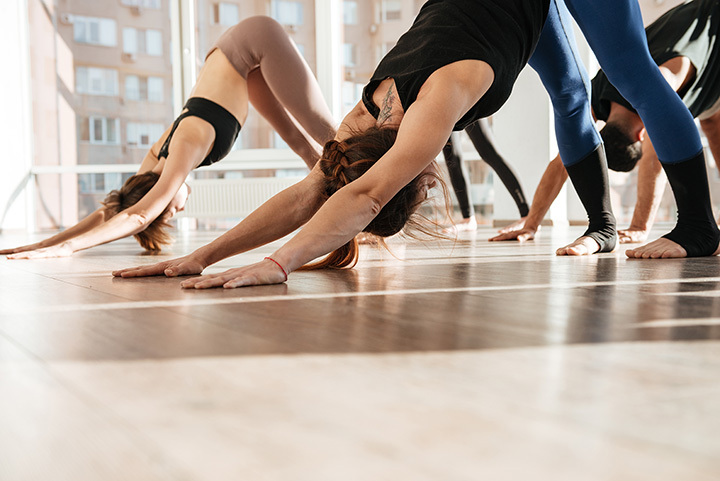 At Marquette's Tulivesi Yoga, you'll have access to a variety of programs including four different kinds of Vinyasa Flow yoga: all-level, advanced, mellow and candlelight mellow. That's just the start, though, as there are several other kinds on hand to get involved in. Perhaps best of all are the prices: 30 days of unlimited classes run for just $39, and private sessions are available.